Curriculum Vitae is an integral part of the Job Process. It is the first screening test and an opportunity to leave a good impression of yourself on the recruiter. It is a way to tell the employer about your work experience, achievements, and qualifications. When writing a CV, it is crucial to remember that recruiters scan it for 2 to 3 minutes to select those who match the profile. Sample Cvs are available to assist you to make an impressive CV. 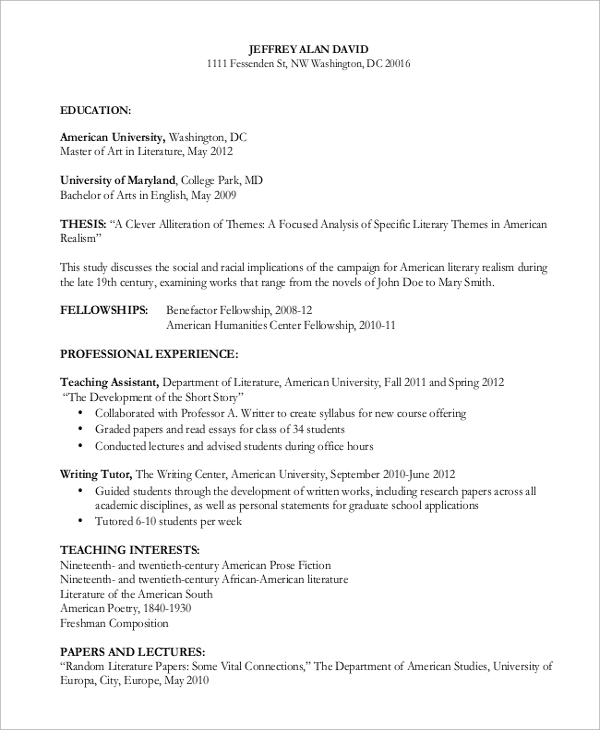 The Sample Curriculum Vitae enlists the academic research, paper, and presentions of an undergraduate student. It is valuable for those applying to work on a research paper. It will show their capabilities and achievements, hence, boosting their chances for selection. The template is instrumental for candidates looking for a job in business administration; handling operational and managerial responsibilities of the company. It inculcates their experience, academics, training programs, honors and hence improves the chances to reach the next level. A systematic CV sample, enlisting the necessary experience and skills to get a job in the Hotel Industry. 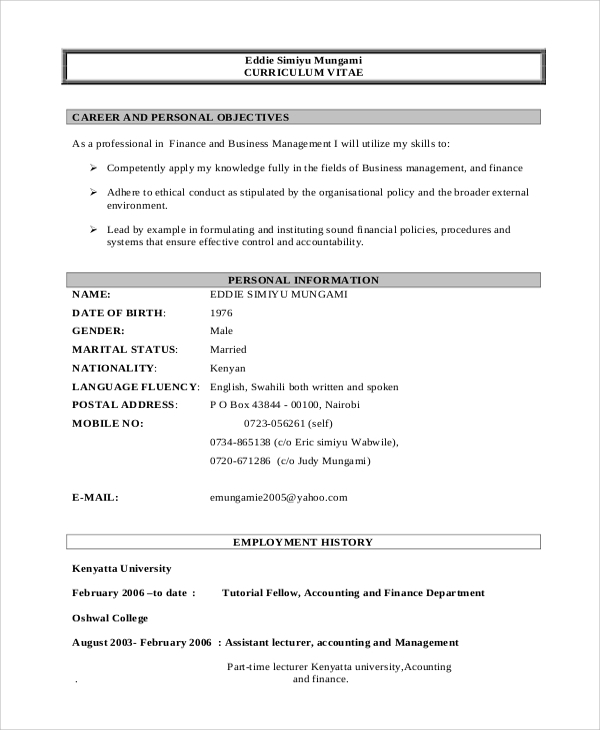 The job seekers can use this Sample Curriculum Vitae to make sure for the inclusion of relevant details and hence leave a mark on the recruiter. 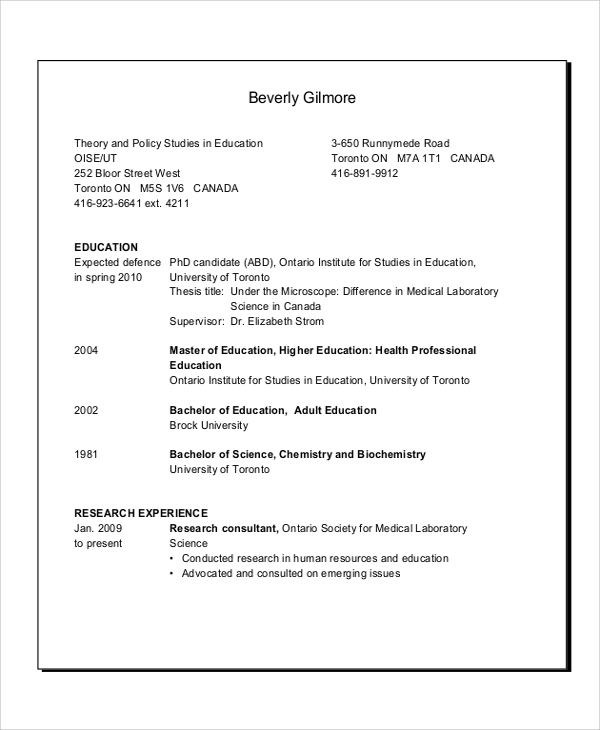 What are the uses of Curriculum Vitae? A CV is an initial step to communicate with the recruiter. By CV, the employer shortlists a few candidates. Only the selected candidates receive a call for interviews. They are useful for the job seekers as they can show their academic qualifications, career history, expertise skills and potential through it. CV helps the employer to select the appropriate candidates for the job. It makes their task easy. A high-quality CV will boost your chances to get chosen for the interview and eventually land up for a job. Moreover, there are High School CV Samples, which are useful for the high school students, who don’t have any work experience. 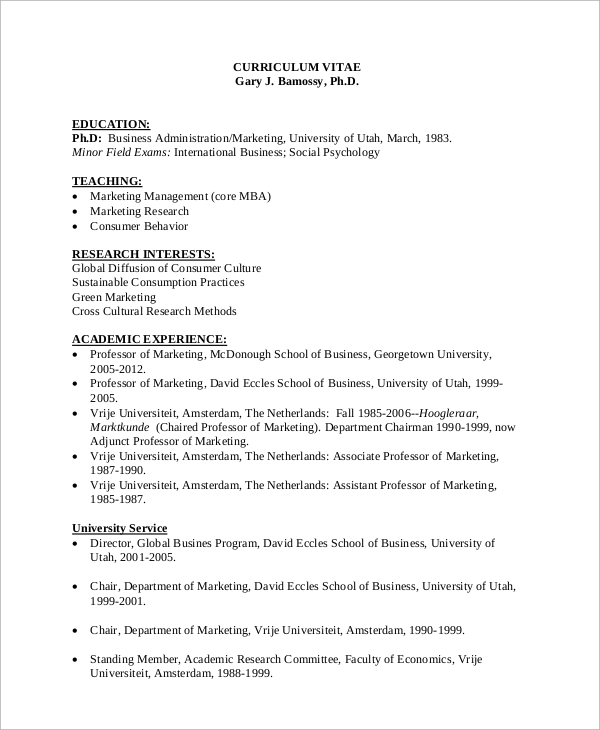 You can use this Sample Curriculum Vitae if you are looking for work in business management. It specifically highlights a person’s capabilities to work in business management segment by focusing on his/her skills, professional life, related hobbies, and strengths. 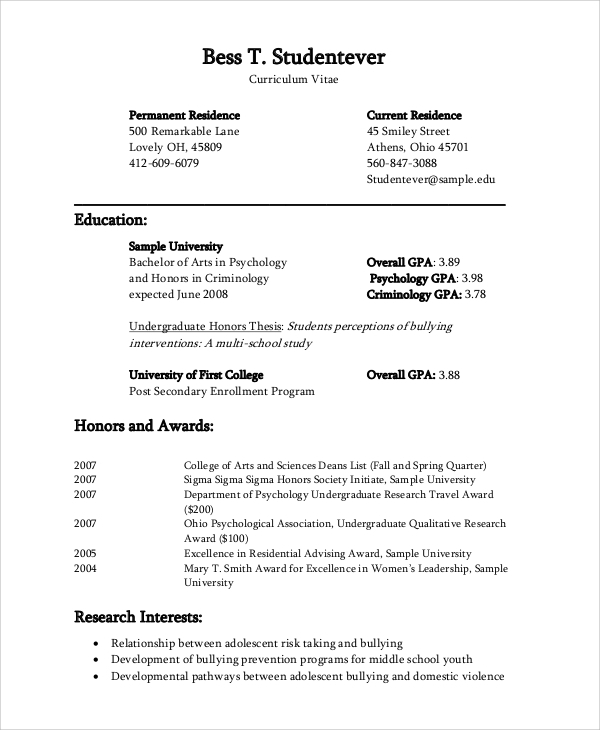 High School CV Samples are available for students. Besides, the CV samples for higher education will help those who will pursue their studies further, masters or Ph.D. It provides a detailed description of each component. 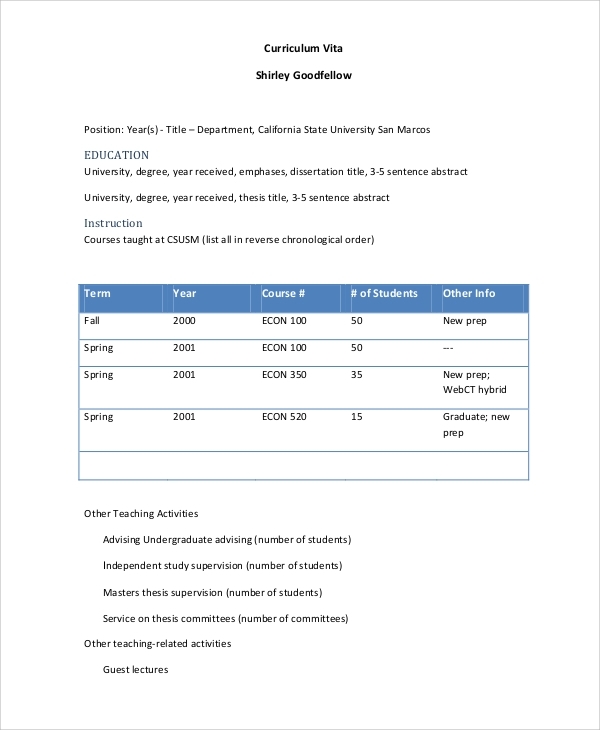 Use this sample to make sure to get a position in the university. What are the Benefits of CV? Having an eye-catching resume benefits the job seekers to reach the next round. It can leave an impact on the recruiter. Else, your CV may get mixed in the shuffle without any regard. A good CV will show your qualifications clearly and consequently intensifies your chances for selection. It allows you to think about your best attributes. You can send multiple applications for different jobs at the same time as it is the fundamental step for any job. 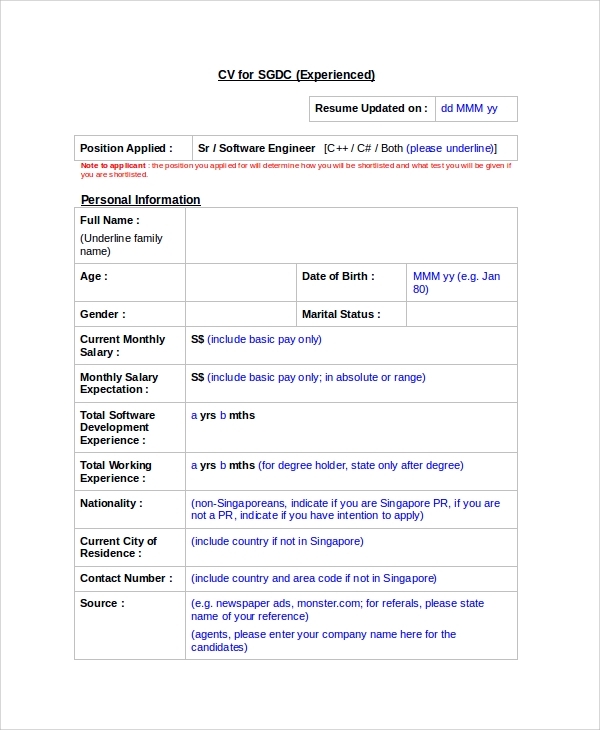 Usually, employers search for the candidates through various job sites. The job hunter can send his Curriculum Vitae on these sites to ease his/her work. You may also see the CV Samples. These Europass Curriculum Vitae Samples will make your task easy to write if you are planning on writing an excellent CV. 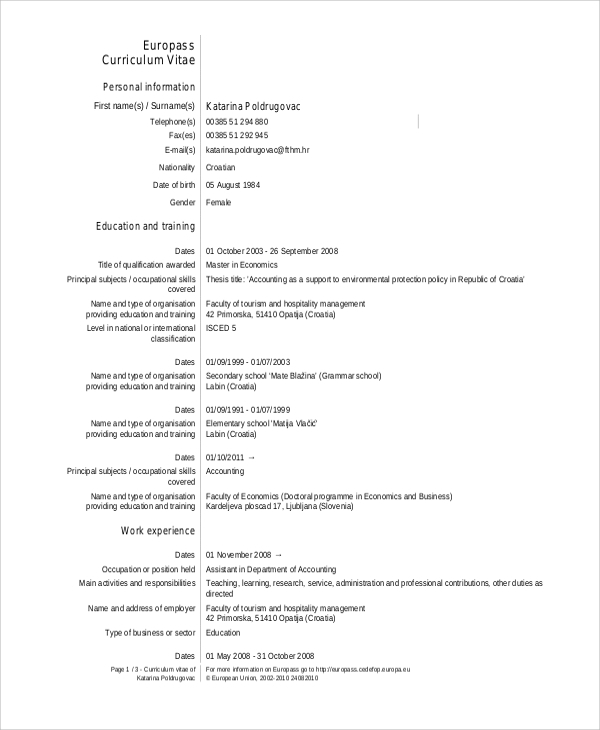 You can draft your CV in the right format and without missing the vital points. These will enhance your prospects to get a call for an interview by highlighting your potential strengths and the abilities.